When my best friend Andria and her husband bought their first house, they wanted an art piece to complete their entry way. 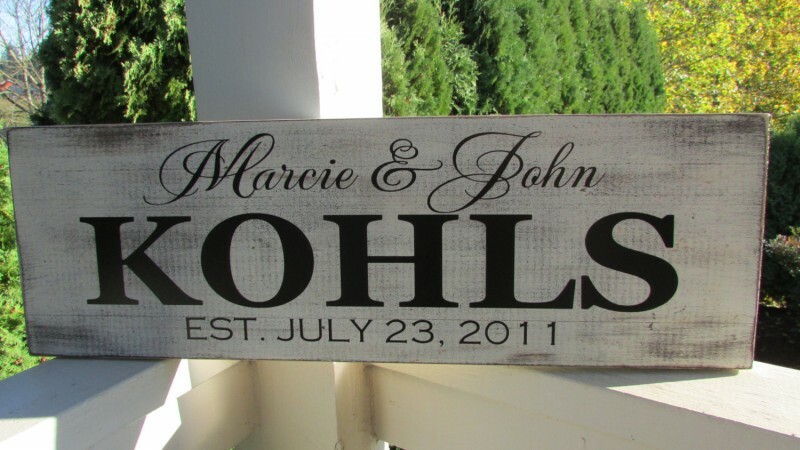 What better way than with a sign that marks the year they got married? 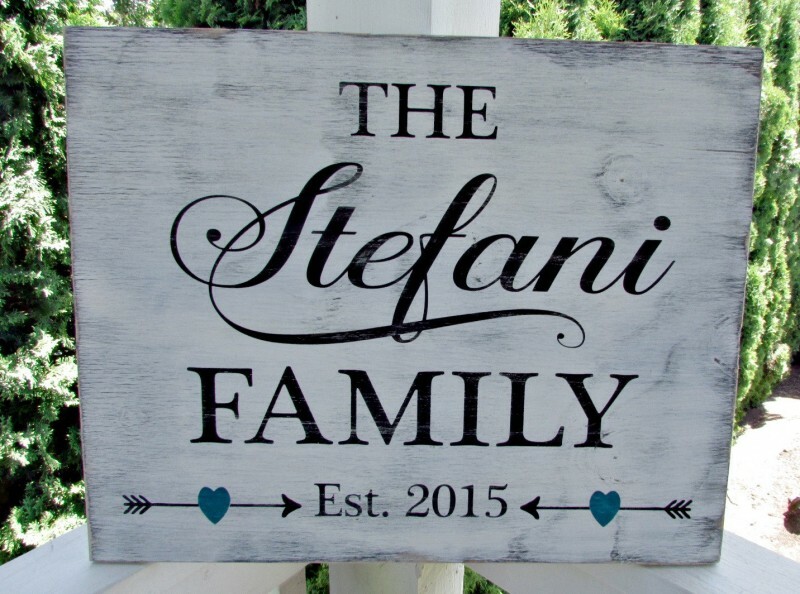 Their sign is slightly different, but this established wedding sign by LaRae Boutique is today’s #HANDMADEADAY find and it makes a perfect gift for soon-to-be weds (or newlyweds). Check it out, below. It features your first names, last name, and wedding date. You can find out more (and see additional styles) here. This signs do help make the feeling of this special day everything. Nice designs! I agree, Patina! It is a beautiful memento to be enjoyed for years to come. Thanks for stopping by.